Connecting with employees across the organization is a challenging exercise. It is time to look for innovative solutions. Here's how conversational interfaces could help you. 50% of employee queries remain unanswered even after 24 hours. 30% of an employee’s tasks often get delayed due to dependency on others. 20% of an employee’s productive time is spent in coordinating or managing work-life related transactions. The modern-day workforce is diverse and distributed – they include employees from various backgrounds, geographies, and most importantly, mindsets. In this business context, there is a pressing need to create a ‘connected enterprise’ – one that is productive, and high performing. While research suggests that remote workers are far more productive, they need to be given the tools required to succeed – especially in fostering teamwork, collaboration, and camaraderie. Conversation based tech tools are fostering workplace productivity and teamwork by reducing employees time spent on transactional queries. Chatbots - It is an intelligent system that reduces the dependency of the employee on the organization to respond to queries. It is an interface that is available 24x7. Messaging App – Enterprise related messaging platform help employees have a secure conversation. 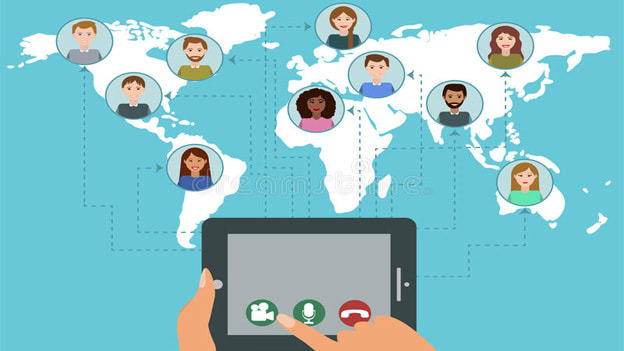 In an age where we connect with people on Twitter and Facebook, enterprise messaging platforms helps employees to connect with people within the company. Messaging platforms can foster conversations across groups within the company. For example, There can be one that is focused on finance, and another on sales, etc., enabling employees to drive their function specific agenda. Intelligent Assistants – Can empower employees to think about ‘what’s next,’ and helps teams have insightful discussions. Why do collaboration tools matter for a disbursed workforce? In a webinar on this topic, Suresh Mani, Head HR Ops, and Shared Services says that ever since Aditya Birla Capital leveraged conversational interfaces, the company has seen an increase in productivity. With an employee size of 14,000, with over 600 branches around the country, these platforms are used to run HR campaigns from any of the locations. Ever since the financial services company leveraged Messaging app, it has reduced the response time significantly. It has boosted connectivity among a disbursed workforce and has improved the effectiveness of discussions. When the company introduced a Chatbot, the number of queries related to 'leave and attendance' reduced drastically - from 1000 queries per month to 200 per month. The company leveraged the helpdesk data from five years to support the chatbot. The company is now looking at reimbursement related notifications and investment declaration – helping employees with their investment related queries. The purpose of mobile-HR is not only to provide an alternate device to carry out HR actions, but it is also to push time-sensitive information to employees, thereby increasing responsiveness. For example, employees can carry out critical self-service actions such as record modifications, performance rating records, payroll, and benefits, and managers can approve actions real-time. Mobile-based HR applications find special significance with an on-the-go, global and tech-savvy workforce that is accustomed to ‘tap and swipe,’ thanks to the high penetration of smartphones. How to leverage collaboration tools? Talent Management: Talent acquisition activities such as job posting/sourcing, onboarding, performance management updates, etc. Payroll, Time and Expense: Time and Attendance, Work Scheduling, Pay statements-view, Expense views, etc. Employee benefits: Compensation and Benefits information, Retirement Savings and Tax updates, Rewards utilization, etc. Corporate Communications: Notifications, company portal, and social updates, policy updates, HR documentation push-notifications, etc. The journey to mobile HR is not easy. Lack of infrastructure can affect connectivity amongst the distributed workforce. HR professionals may be pressed for time to do justice to these new projects. 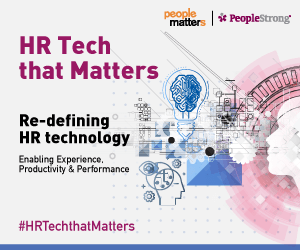 It is often the outlook towards HR technology enablement also that causes such initiatives not to take off. People inherently fear change, and a new HR app on mobile is a huge change for their work norms. There may be times when employees resist using tools, leading to lower adoption, and further diminishing the chances of its success. Actively driving adoption is a critical step- employees must be oriented early-on to the change and educated on the new processes and systems. HR must clearly communicate “What’s in it for me?” They should encourage employees to try out and find for themselves how HR-on-mobile positively impacts their work-life. It is only a matter of time as organizations tap into the strength of their distributed workforce. The idea is to think from a perspective of employee empowerment and employee enablement. When done right, it will naturally translate into better productivity and performance at the department and organizational level. Mr. Ayan Das is the Founding Member & Head – Customer Success PeopleStrong. Mr. Suresh is the Head-HR OPS & Shared Services, Aditya Birla Capital.